Drone insurance includes a range of insurance coverages. The type of drone insurance you need depends on your drone activity and the nature of your drone business. It also depends on your contractual requirements with your clients and subcontractors, or your rental agreement obligations. If you are operating a drone for commercial purposes, your homeowners’ insurance will not cover you or your drone operations. Aviation liability insurance covers damage to property and injuries to people resulting from your drone operation. This is the coverage you need to have even if you have no other drone insurance for your drone operation. Aviation liability insurance that specifically covers commercial drone operations is important. It will protect your business from damage claims for property damage and bodily injury resulting from the commercial operation of a drone. Typical drone accidents involve hitting power lines, trees, homes, and buildings. Aviation liability insurance will protect you and your business for the resulting damage to property and injuries to others. More and more frequently, drones fly over sports stadiums filled with spectators during a sports event or rock concert to videotape or photograph the action. On more than one occasion, drones have fallen into crowds, injured several people, and destroyed expensive equipment. This is exactly the kind of situation where aviation liability insurance is necessary. It should cover bodily injuries to the spectators and the equipment. However, aviation liability insurance will not cover the drone owner/operator, the drone itself, or its payload. Other types of drone insurance are necessary to protect against damage to the owner/operator and the drone and its payload. As you can see from this list of covered risks, all physical damage to a drone can be covered by hull insurance. However, drone owners can choose to buy hull insurance that covers all risks and total loss, or limit the coverage to certain risks only. Personal and advertising injury covers losses and damage you cause to another person as a result of libel, slander, defamation of their products or services, or violating their right to privacy. This insurance is common for many different businesses, including commercial drone operations. 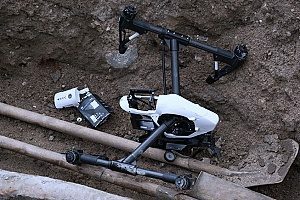 In the context of drone operations, an example of how this kind of coverage is important is when a drone operator flies a drone over private property to take photographs, and the property owner claims invasion of privacy. Personal and advertising insurance will protect the drone operator against the property owner’s claim. The damage can be compounded if the drone operator publishes the images without permission. With the rise of these commercial drone activities, an insurance policy may require the drone operator to prove an established procedure for securing images as a prerequisite for coverage. 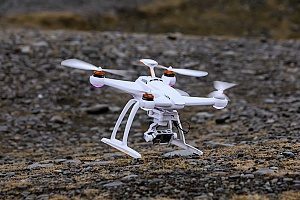 If the drone crashes while photographing without the property owner’s permission and the crash causes property damage and bodily injury to someone, personal and advertising insurance will cover those losses. The damage occurred as a consequence of the invasion of privacy. 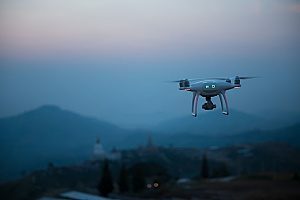 Also, personal and advertising injury coverage protects commercial drone businesses against libel, slander, copyright infringement, and misappropriation of advertising ideas. Non-Owned coverage protects the operator of a drone when the operator is not the owner. Perhaps the operator is using a leased drone, or is simply piloting the drone under a contract with the owner. Non-Owned liability coverage protects an operator against damage and injuries that occur from operating a drone that is owned by someone else. If your business operates any drone that you do not own, you need to consider Non-Owned liability coverage. The limit on Non-Owned liability coverage is usually the same as the owner’s liability limit. Likewise, Non-Owned hull coverage protects the non-owner/operator of a drone against damage to the drone itself. The amount of coverage is set by the operator. The availability of this insurance and the amount of coverage will be determined on a case-by-case basis. Drone insurance is available for many kinds of commercial drone activities. A knowledgeable drone insurance broker can help you identify the kind of coverage you need and tailor a drone insurance package to fit your specific needs. Speak to a drone insurance broker for more information and to learn how to apply for drone insurance.